This type of dimmable power supply is an exclusively designed stabilized power supply for LED lamp. 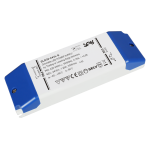 With constant voltage (CV) technology, it is suitable for constant voltage lamps(12//24Vdc) connected in parallel. 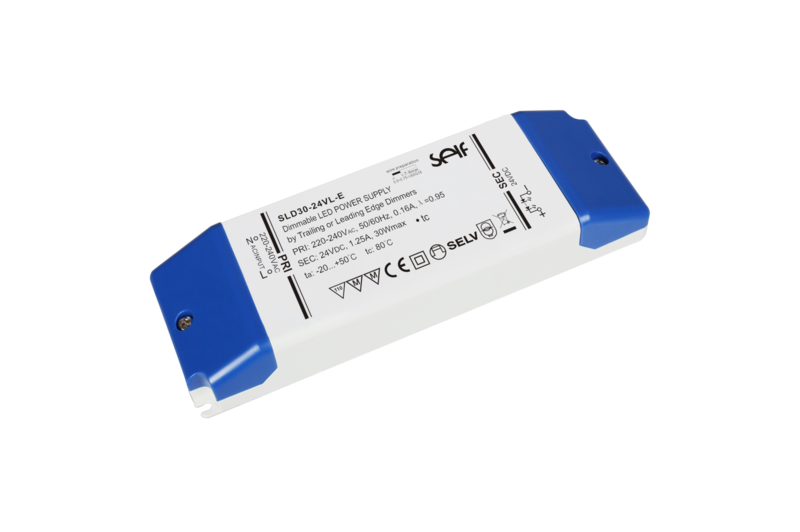 The output current of the converter could be dimmed between 5%-100% by trailing or leading edge dimmers. The built-in protection circuit will shut down the power supply in case of such faults as: open circuit, short circuit, over load or over temperature. 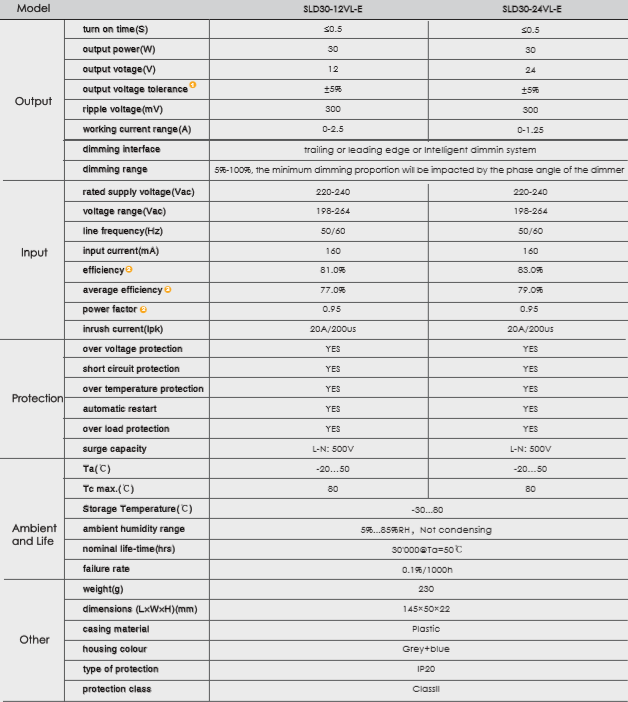 The power supply will restart automatically after fault correction.